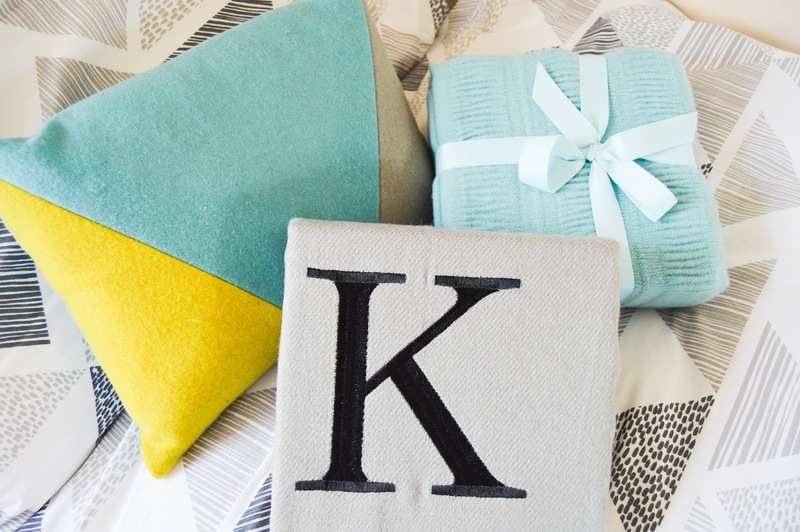 Yes, this is my first Christmas gift guide, the start of many! 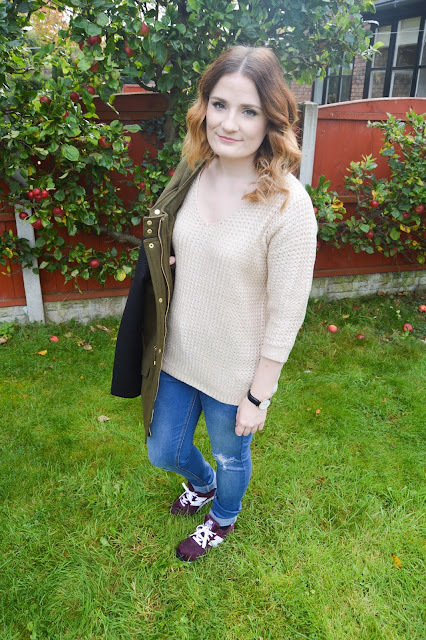 I thought I’d start with a blogger related one as my first. 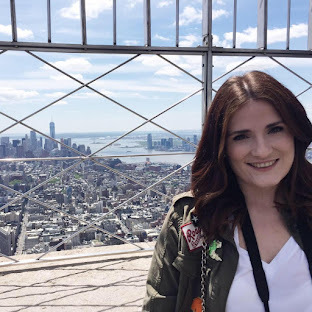 Many of us state that friendships are the best thing about becoming a blogger, there are those amazing girls out there who we speak to daily via Twitter, and like every photo they upload to Instagram. I’m lucky enough to have many some amazing and supportive friends from blogging. Perhaps you want to spoil your blogger bezzie, but what to buy them?! I have fully taken advantage of blogger clichés to find the ideal gifts. While we apply our Lush face masks and have a pamper evening, we’ve got at least 3 candles lit. 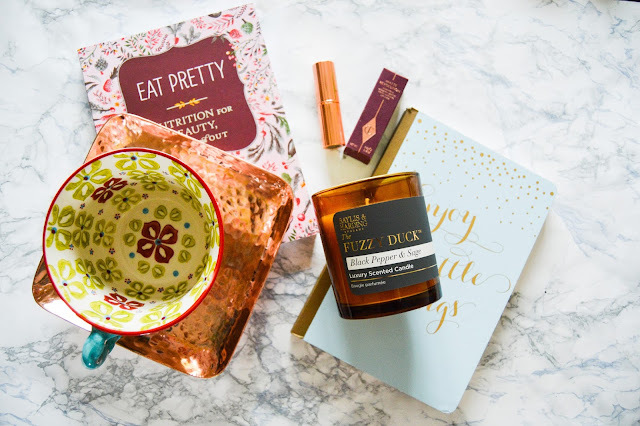 I’m currently loving this Baylis and Harding Fuzzy Duck one, it comes in stunning packaging and smells divine, a very warming scent. I would recommend checking out I Want One of Those or IWOOT for gifts, such a wide range of unusual gifts! Bloggers are the most organised bunch of people you will meet, thanks to 100 to-do lists and scheduling, we are always on top of things. Okay, maybe not always but we do love list writing. TK Maxx have a great range of notebooks which have very Pinterest-worthy patterns and covers. Tea and coffee will get any blogger through a long night editing and writing, plus some snacks of course. I love this one from Anthropologie, it’s so colourful and unique, holds a gallon of tea too! The copper homeware trend is still going strong, again TK Maxx has some lovely pieces, as well as Asda if you want something really affordable. This tray/large coaster is from a shop called Pieces for Places, they have an amazing store in Barmouth, but if you don't live in Wales, you can shop their collections online. For once, judge a book by it's cover. I've been collecting a number of books lately, Eat Pretty is an ideal gift for those who are health conscious or beauty fanatics, it talks you through the healing properties and health benefits of different foods. I would also thoroughly recommend Bobbi Brown's Makeup Books for beauty bloggers. ANY girl would be overjoyed with a Charlotte Tilbury gift. They do have sets available, but lipsticks, eye liners and lip liners have a smaller price point. Remember to search their blog for shades they already have though! Those who have been to university will know the pain of moving back into your parents’ house again, although I don’t miss the mouldy pots! 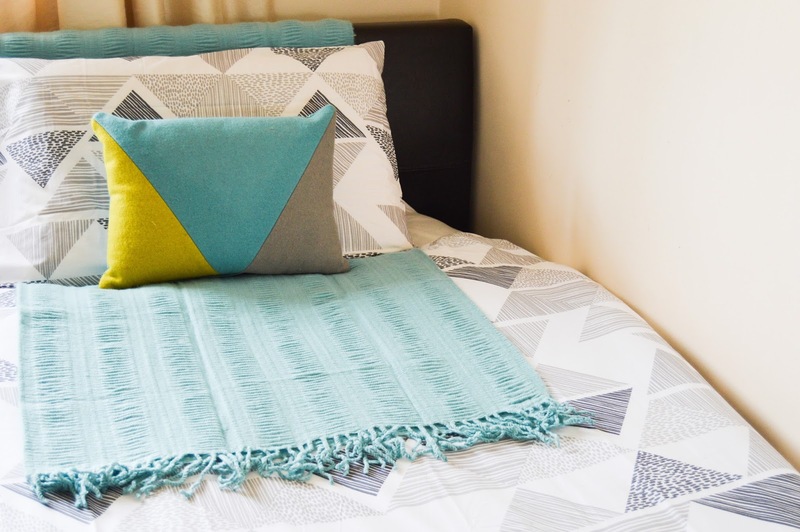 The only space I have to decorate myself is my own bedroom sadly, but some winter warmers from George at Asda have enabled me to create a snuggly yet stylish space. I was heavily influenced by Lily Melrose in my choices, her style tends to include graphic black and white prints with splashes of colour. This fitted in perfectly with Asda’s ‘Trace’ trend for Autumn and Winter. 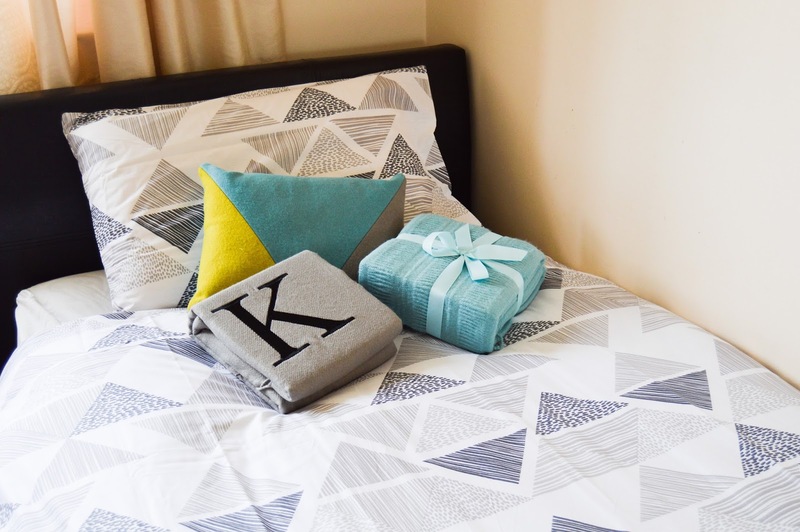 I choose a black and white duvet set which had a triangle print pattern, I mirrored the geometrical shapes in the brightly coloured cushion I choose. 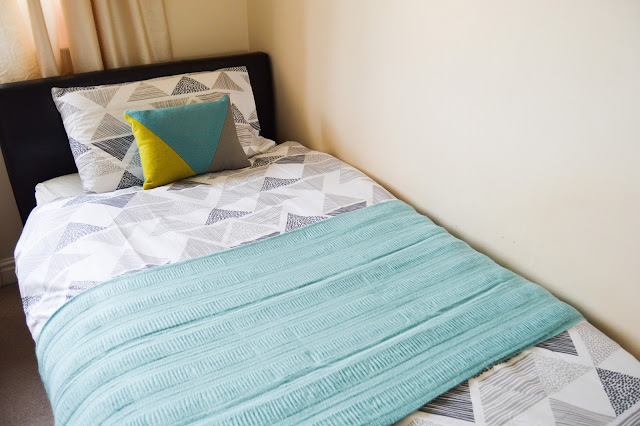 To complement this, I choose a teal green throw, I think the different shades of green teamed with the simple black and white duvet cover works really well together. For the finishing touches, I choose a terrarium, a large three wick candle and a personalised grey throw with my initial on it. I plan to use the terrarium for display purposes only, so I think I might add a few candles inside or display some pretty perfume or product bottles inside to make it a feature in my room. This is the cheapest terrarium I’ve seen online at £10, so much cheaper than Anthropologie and Urban Outfitters. 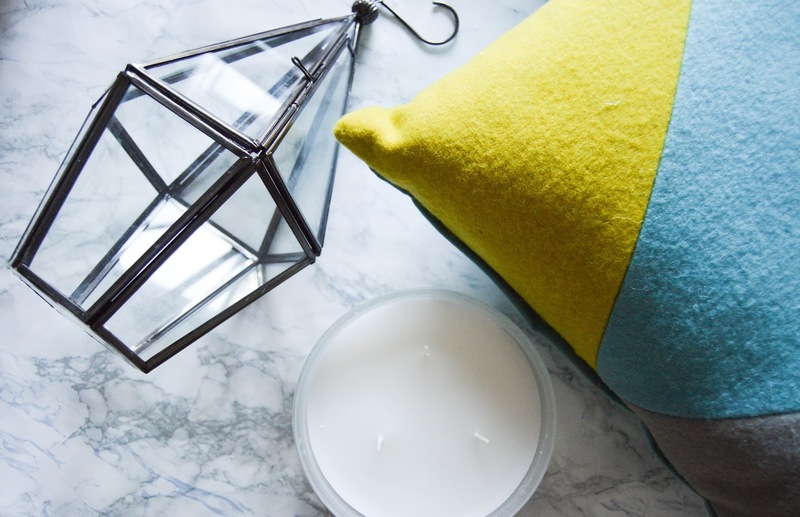 I love cosy nights in so I’ll be cuddling up with my grey throw and lighting the three wick candle this Autumn and Winter, it’s little touches like that which make cold nights bearable. I think the throw would make a lovely gift, they also have candles with initials on too. 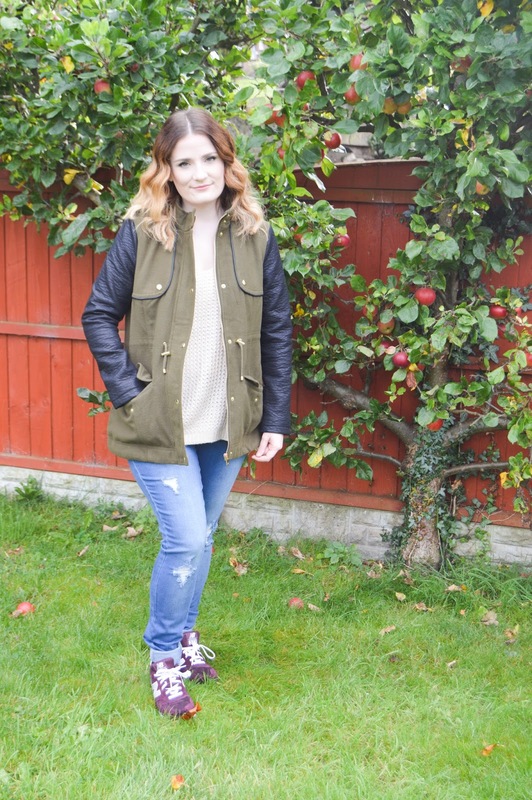 Asda’s A/W homeware range is so affordable and it’s filled with blogger inspired pieces, plenty of copper and graphic prints. Check the range out here. Have you seen anything you like from George at Asda? What do you think about the theme I choose? I am NOT a morning person, I don’t feel present until around lunch time. I fumble around in the morning, wanting to get ready as quickly as possible, (this gives me more time in bed). I thought it would be interesting to see what items I grab without a thought every morning. First things first, I need tea when I wake up. I’ve been loving my Anthropologie cup, it holds a gallon of tea and it’s so pretty. 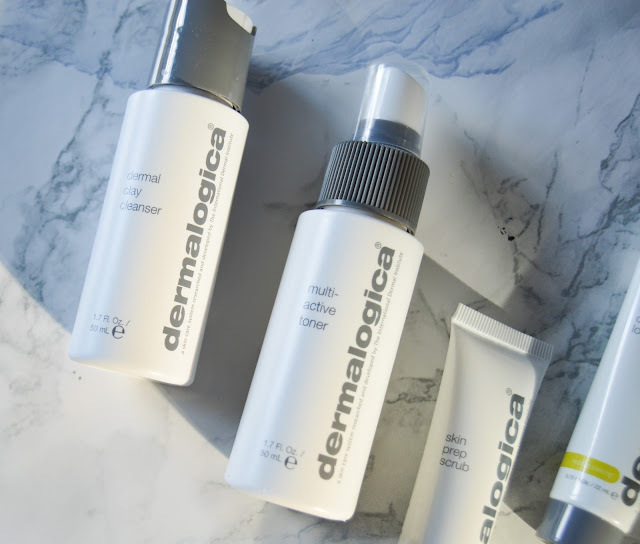 I’ve been using Dermalogica at the moment, I use their three step routine from their oily skin trial kit. You can see if I'll be repurchasing by reading this. After a rushed breakfast, I’ll use my electric toothbrush with my Seysondyne toothpaste and mouthwash*, my teeth can get a little sensitive with cold food and this toothpaste really helps. I use the Sure Maximum Protection roll on, seriously buy it, it works, not sure what else I can say abut that one. Chloe is my favourite ever perfume, I'm currently using a roller ball version I got at Sephora. Why don't we get rollerballs in the UK?! A quick spritz of dry shampoo ensures my hair looks fresh. I use the brunette version so I don't get that horrible white cast on my hair, it just helps extend the style for another day. By this time, I’m probably late! What do you grab for in the morning rush? 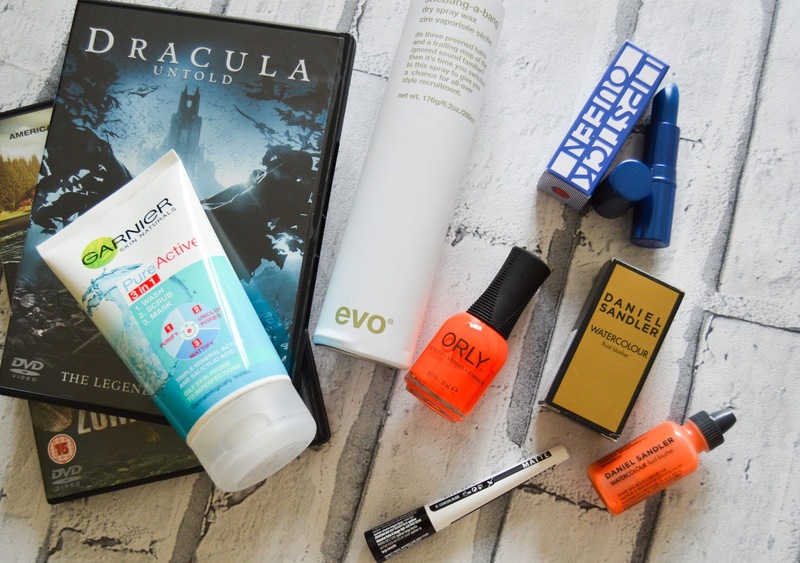 HQ Hair kindly sent me a box of surprise Halloween goodies, including some scary DVD's from Zavvi. They asked me to create a Halloween look with the products for their #HQScare campaign. I didn't know what was in the box prior to receiving it so I wasn't sure what look I was going for, but as soon as I saw the bright orange Daniel Sandler Watercolour Blush I knew I had to create a scary pumpkin look. I used Halloween Youtube videos for inspiration and pulled this look together in 10 minutes, so I would be ideal for those who don't have much time on Halloween night to get ready. I use the Daniel Sandler Watercolour blusher as my base, it was very runny but had a slight silicone texture so it was easy to blend across the entire face, it wasn't streaky either. 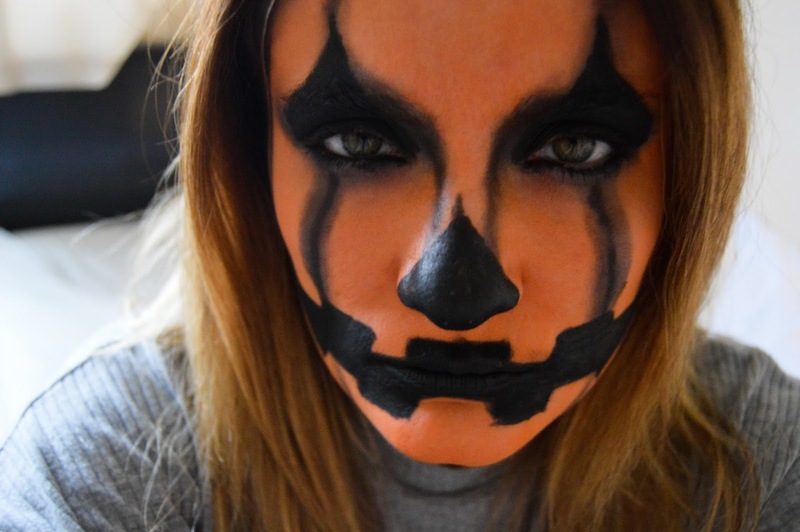 The black 'craved out' eye sockets, nose and mouth were drawn on with eye kohl and deepened with the Maybelline Matte liquid liner and some black eye shadow. With that same eyeshadow, I smoked out the lines to give the pumpkin a more scary, rough finish. I didn't want it to be too perfect, so applying it messily made it look even more scary. There was some other interesting goodies in the box that HQ Hair sent over, including a face wash, which was much needed when I attempted to remove all the black liner. The Lipstick Queen Hello Sailor blue lipstick is very unique. It's blue in the bullet but transforms into a beautiful blackberry shade on the lipstick, it's magical! I'm yet to try the dry wax spray from Evo, but it looks interesting. Thank you to Terri at HQ Hair for sending me this lovely Halloween package! What do you think of my 'Scary Pumpkin' look? What will you dress up as on Halloween? As soon as 1st September rolled around, it was like someone flicked the on switch for Autumn, with the crisp, colder mornings and darker evenings. I’ve been checking the Lush social media channels and tweeting Lush fanatics trying to find out when the Halloween and Christmas products would be released. I was lucky enough to be invited to the Chester Lush Halloween and Christmas VIP Blogger Event, last Saturday. I’ve been to three now, all as exciting and interesting as the other! 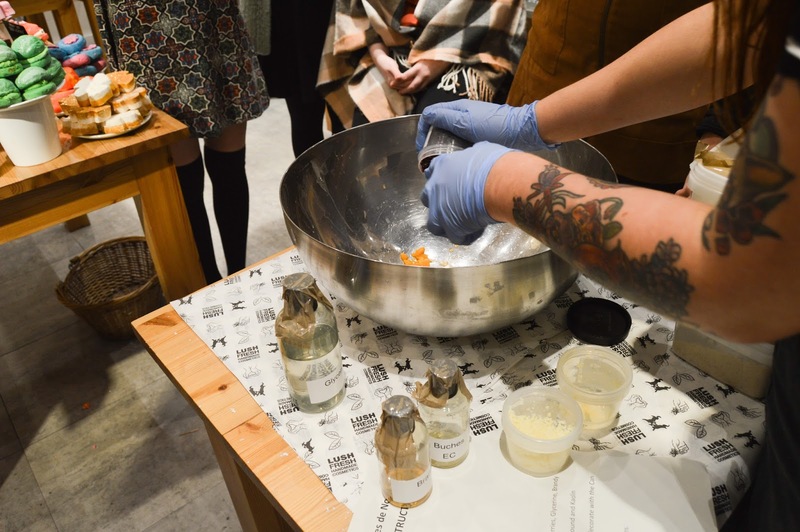 The event showcased the new releases, with plenty of demos and fun facts about the products. 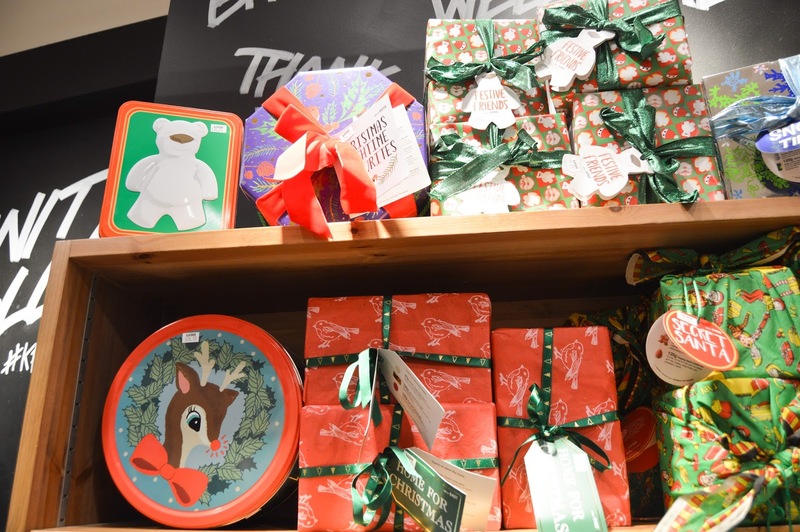 I was surprised at the sheer volume of products that have been released, not to mention the endless gift sets. I was most excited about the unusual bath bombs and jellies from the new collections. I mean, everyone loves Snow Fairy, (it’s like to crack to me), but it’s the more unusual spicy scents I was looking forward to trying. The Halloween collection is very limited edition, as it only runs in the month of October. 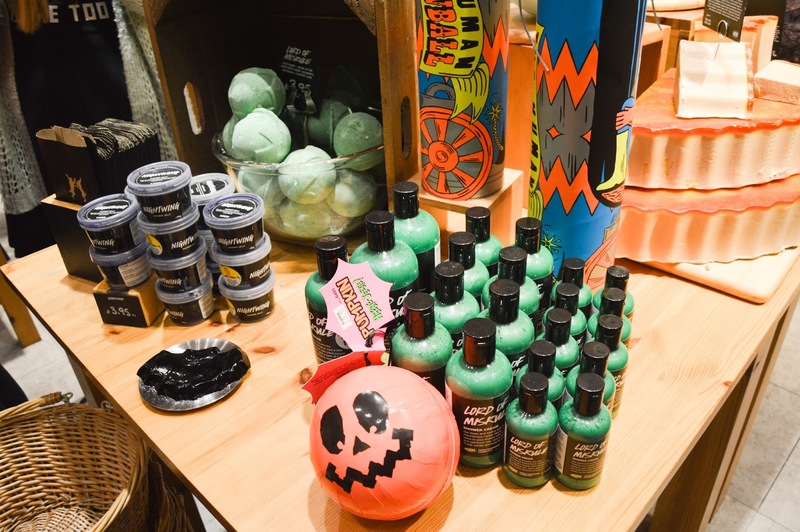 A Lush favourite, Lord of Misrule is back in bath bomb and shower gel form. It’s a spicy, pepper scent, I think it would be suitable for both men and women, it’s not girly at all. 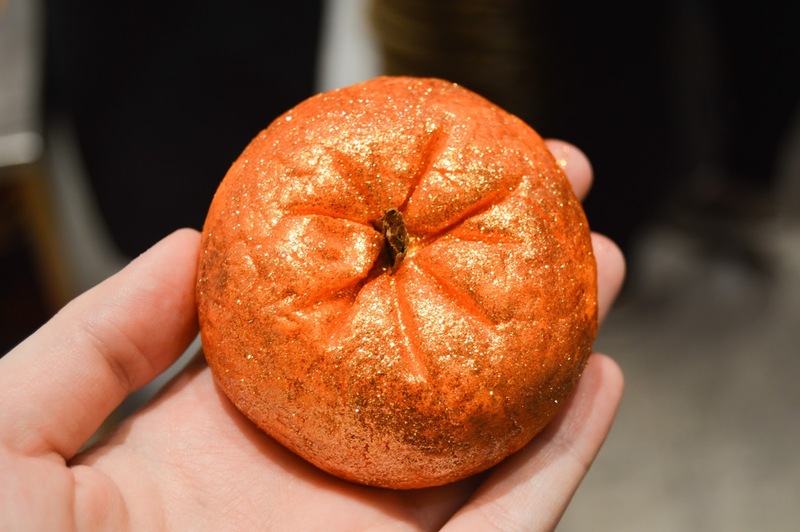 Sparkly Pumpkin is usually something I would avoid as it is covered in glitter, but it’s such a warming scent, I just couldn’t resist! I urge you not to judge by the glitter, and actually smell it in store. Nightwing is another new feature to the Halloween line up, it’s a bright purple jelly in the shape of a bat. Overall, I think this collection is great for those who don't want overpowering sugary florals, I think men would like the scents too. Lovers of Snow Fairy will be glad to know, the pink sweet smelling goodness in a bottle is back. I had three bottles last year, which I have been hoarding and using sparingly. 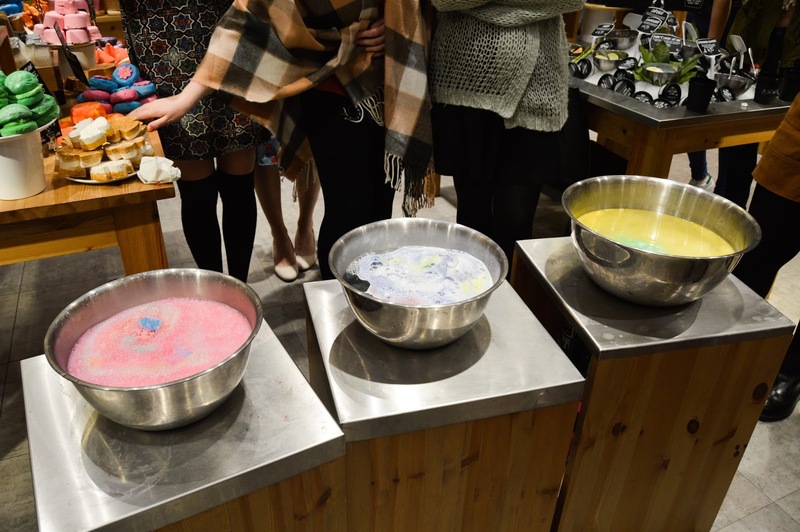 You can also experience the same amazing scent in the bath with their Father Christmas bath bomb. If the Snow Fairy is one of your favourites, then you might like Candy Mountain and Snow Melt. They both have a similar sugary scent, and Snow Melt has tiny little stars inside, which float on the top of your bath. 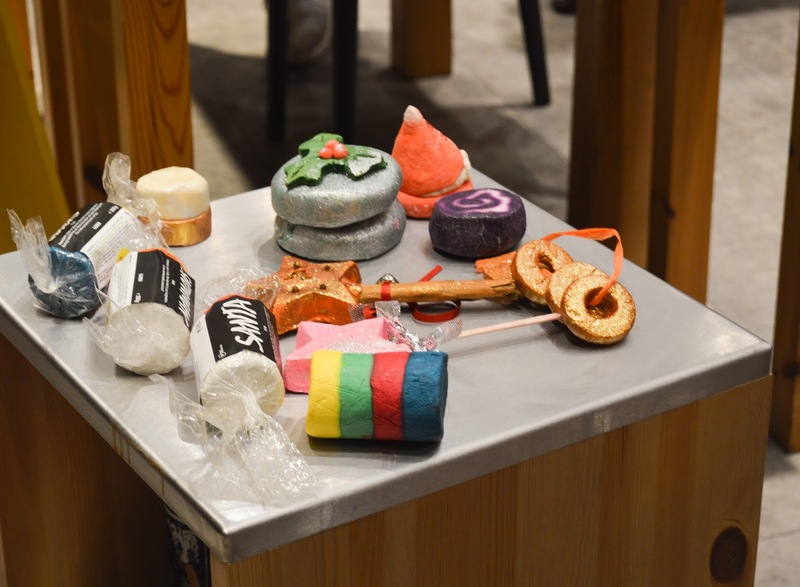 If sugary sweet scents aren’t for you, Lush have plenty of other opinions. 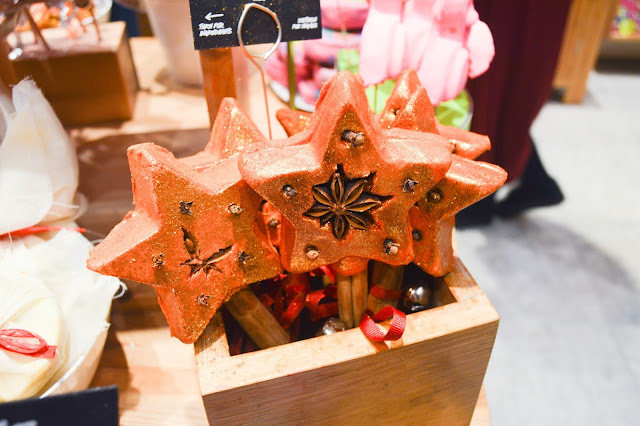 You need to check out the Magic of Christmas bubble bar again like the Sparkly Pumpkin, it’s an Autumnal warming scent that is like a hug in bath form. The big red jolly fellow who delivers presents is featured on so many products, you can jiggle his belly with their Santa’s Belly shower jelly and watch him dance with the Dashing Santa bath bomb, which has plenty of energy in the bath. You can also see him in cartoon-esque form in the cute Peeping Santa bath bomb. 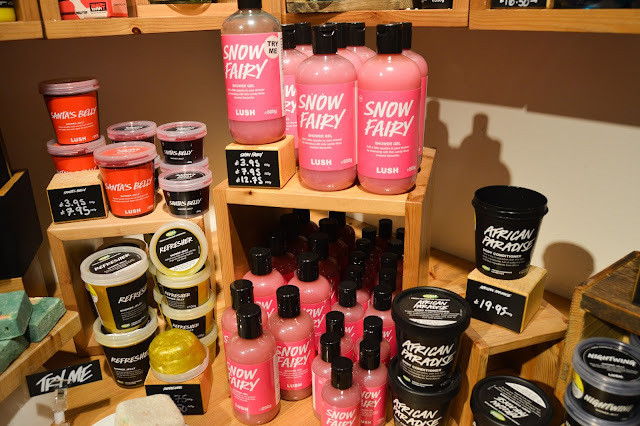 You’ll be spoilt for choice in the shower, as I said Snow Fairy is back along with Rose Jam shower gel. You can also get your hands on Christmas versions of the ‘Fun’ play dough. I have just skimmed the surface of the new products, I urge you to go and check them out in store. 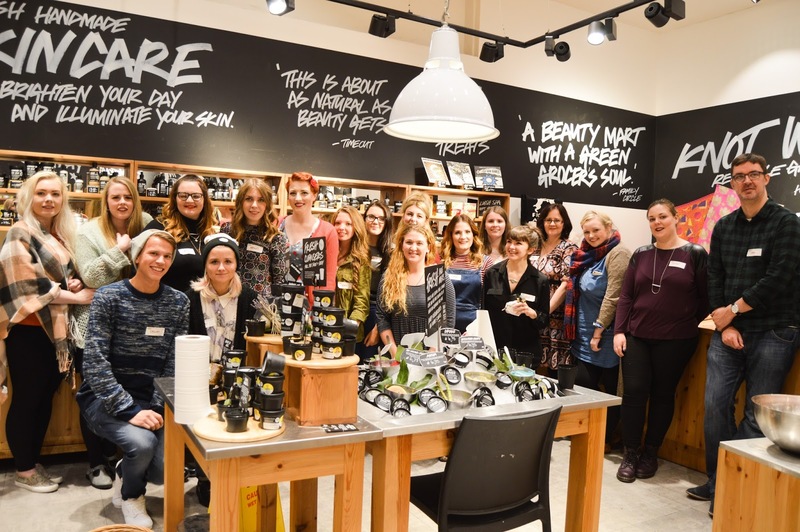 Thank you to the Chester Lush Team who were amazing as always! I'll be writing up a haul this week so look out for that on the blog soon. What are your favourite releases from the Halloween and Christmas launches? Weekends are so precious, I don't think I'll ever get used to 9 to 5, Monday to Friday, so when the weekend comes around I make the most of the time and also the most of those few hours extra sleep. This weekend has been a jam-packed one! Friday night was date night, Rhys and I went to watch The Martian in the cinema after a quick dinner at Nandos. 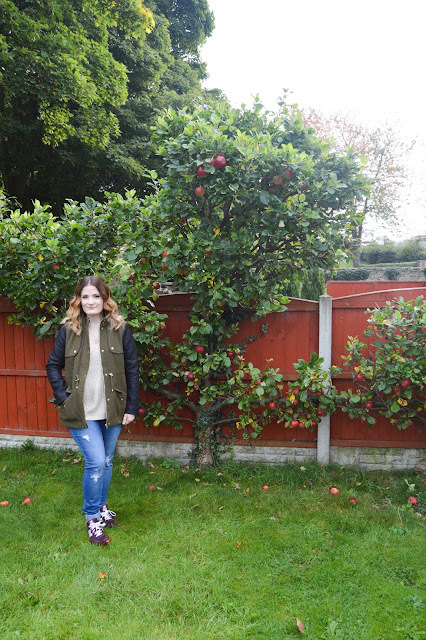 Saturday I popped to town to run errands, wearing my new George at Asda jeans. They asked me to pick some items for their #OffDutyJeans campaign. I picked these super comfortable jeans, I'm usually a leggings kind of girl, but these weren't restricting and tight at all. I love the light wash and ripped patches on the jeans. I teamed them with a cosy knitted jumper and a khaki jacket with leather sleeves. Being a short arse I did have to roll them up but I think this added to the relaxed feel of the jeans. I would say if you are in between sizes in jeans go for the smaller size, jeans from George at Asda have plenty of stretch and come up on the larger size. 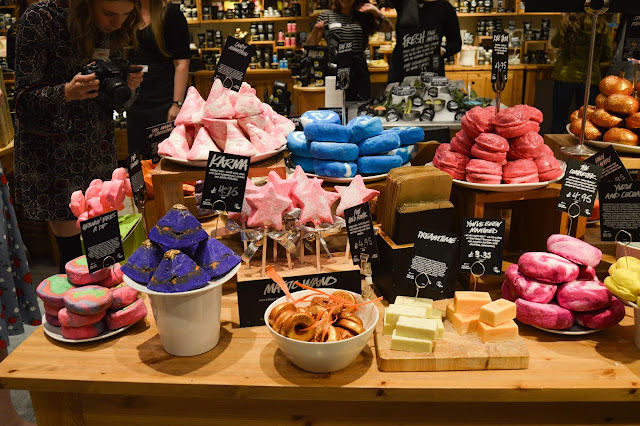 Saturday evening, I made my way to Lush in Chester. The lovely ladies at the store showed us the new Halloween and Christmas items. Expect a blog post on this soon. Sunday quickly rolled around, I spent my afternoon in Llangollen with Rhys. It's a small, sleepy village in North Wales, set beside a beautiful river. Why do the weekends go so quickly?! 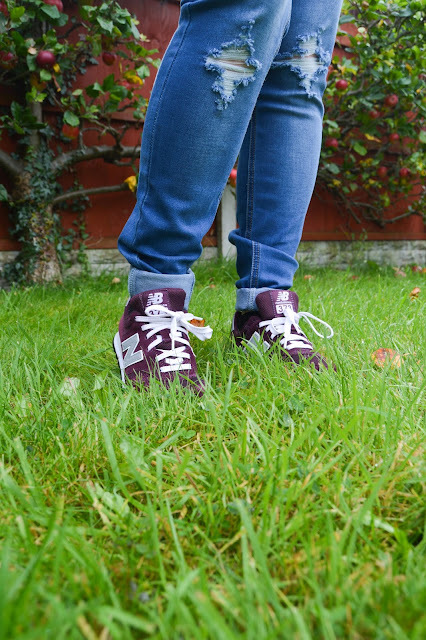 What do you think of my #OffDutyJeans look? Have you tried any clothes from George at Asda before? 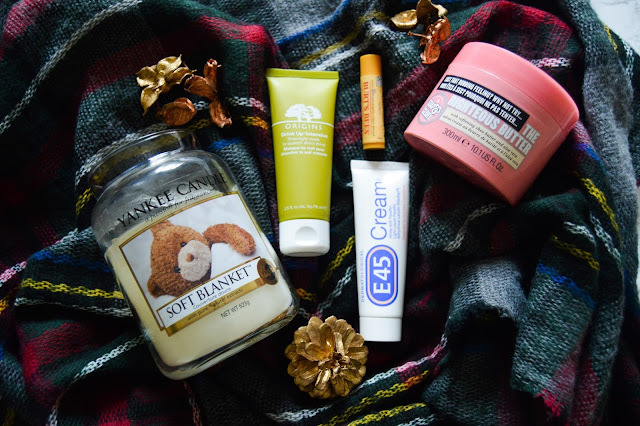 With a chill in the air, I turn to my tried and true Autumn and Winter beauty comforts, I reach for these every September and October to bring in the new season. These wonder products help me relax and soothe my skin. Lighting this really helps to relax me, I love just snuggling up in bed with a candle light. It’s a lovely warming cotton scent; it’s unoffensive like some of the fruity ones. I would whole heartedly recommend the Yankee Candles in the large jars, they last for AGES! 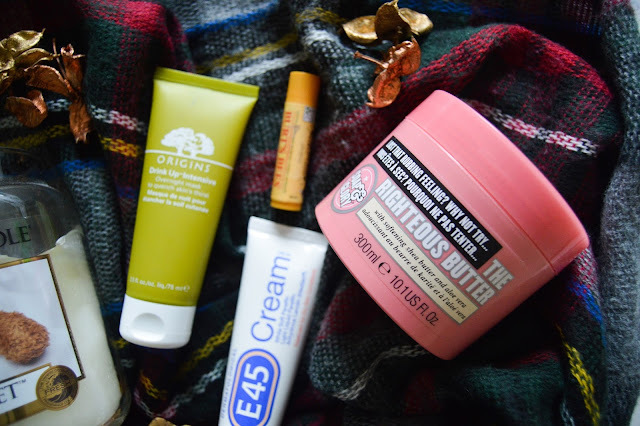 This little yellow stick balm is a LIFE SAVER, when it comes to chapped lips in the winter. It has a lovely fresh menthol fragrance and taste, but it doesn’t sting when you apply. It’s very long lasting on the lips and doesn’t leave a white cast like some hydrating and moisturising lip balms. This little wonder product can be found in the nation’s cupboards, it’s a simple product that does what it says on the tin. I use this on my chapped hands in the winter, usually at night as it does leave a slightly greasy residue, but it’s cheaper than a hand cream and works well! Apparently this smells like the Miss Dior Cherie perfume, it’s very long lasting on the skin. It’s a thick buttery consistency that feels so luxurious on dry autumn skin. They often do 3 for 2 at Boots or you can pick up bargain Christmas sets with plenty of the products. 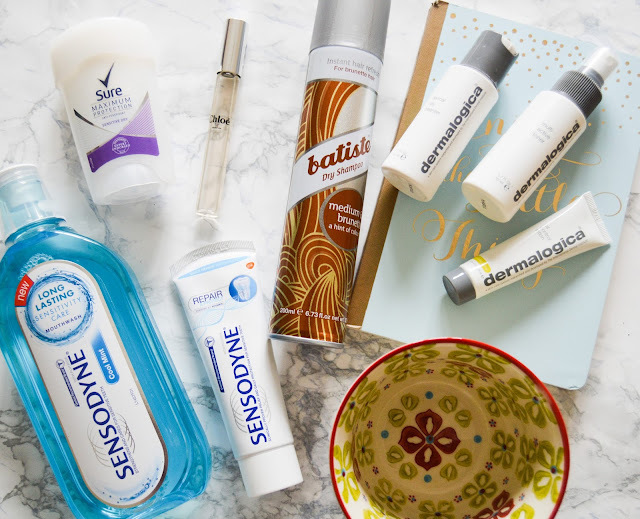 Sometimes my skin is screaming out for hydration, even oily skin can be dehydrated! I would say this is more of a thick cream than a mask, as it doesn't go hard like the usual mask formulas. I slather this on and my skin quite literally drinks it up! It has a lovely fruit scent too. The products plus a hot chocolate equal a cosy night in! What products do you reach for when you need some comfort? Panic struck when my acne flared up, painful spots were popping up left right and centre. Having had a terrible experience with Roaccutane when I was younger, I’m eager to keep the spots at bay. I needed a skincare fix that would help combat the little mountains, a woman in work swears by Dermalogica. It’s a brand I’ve heard repeatedly when looking at acne solutions, I’ve never tried it before so buying a starter kit was the best idea. 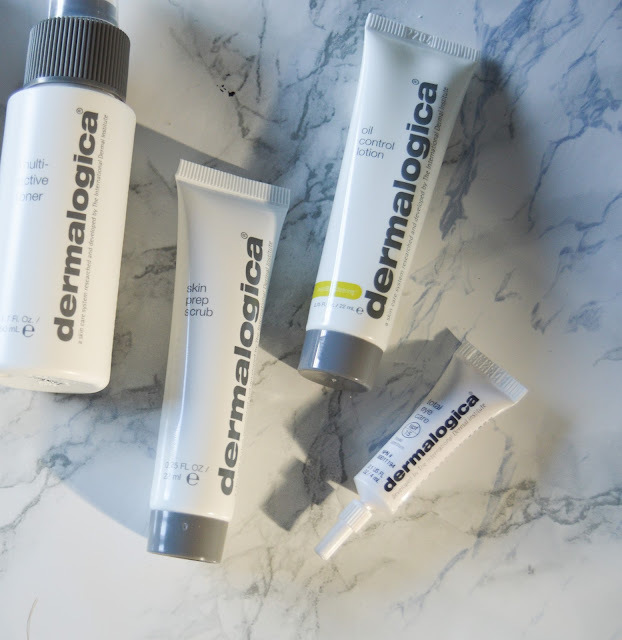 I purchased the Dermalogica Oily Skin Kit via Look Fantastic. 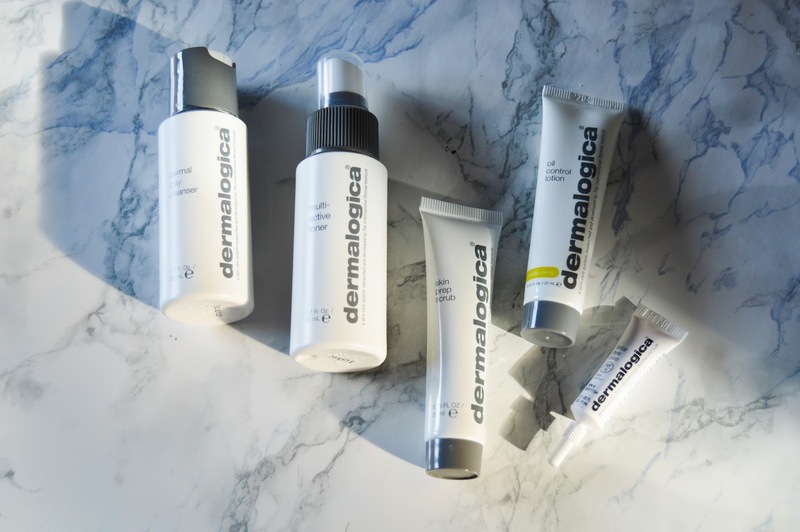 It contains a Dermal Clay Cleanser (1.7 oz), Multi-Active Toner (1.7 oz), Oil Control Lotion (0.75 oz), Skin Prep Scrub (0.75 oz), Total Eye Care (0.1 oz), and two samples, the PreCleanse (sample) and Skin Refining Masque (sample). I think the set is good value for money; the full size products are a little pricey so I wanted to see the quality before I splashed out. The sizes are a good size, enough to last you at least 1-2 months. I actually love the formula of this cleanser; it’s unlike anything I own. Imagine a very watery clay mask; it’s a great neutraliser which balances the skin out. I imagined that the toner in this set would be a drying alcohol based one, but this is a lovely refreshing moisture hit. I’ve tried a number of these lotions and this isn’t my favourite. Yes, it does leave a nice base for make-up but I don’t think it holds back the oil long enough. By lunch time I’m a little shiny, I would recommend that oily skinned girls use a oil controlling primer and a powder with this product. An alternative would be the La Roche Posay Effaclar Mat. One of the most important things that people don’t realise about acne is that you need to use a scrub once or twice a week. It helps get rid of dead skin cells which might clog the pores and also helps rejuvenate the skin and help scarring. This one is very dense, almost like a microdermabrasion scrub, I wouldn't recommend using this more than twice a week, it might leave your skin a little sore. This is a tiny sample, didn’t look like much but this product goes far. A tiny dot will cover your eye area. It’s not a stand-out product; it’s much like every other eye cream. I don’t think I’d purchase this in a full size.